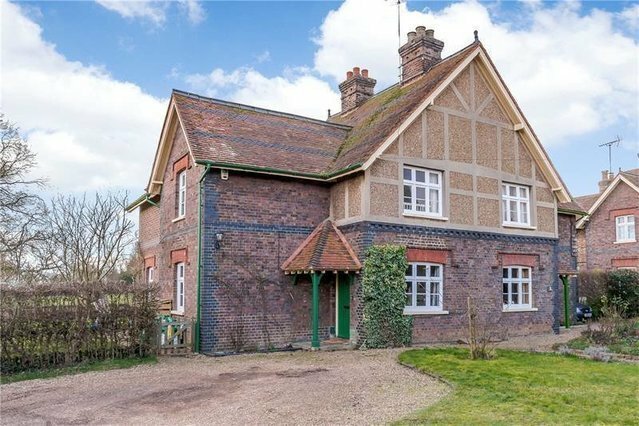 A characterful cottage on a spacious plot, enjoying beautiful, open countryside views. View now or at Strutt & Parker’s National Open House Day on Saturday 11th May, from 11am to 3pm. The property enjoys a large plot and to the front is approached via a driveway providing parking for several cars. The front garden is laid to lawn, and leads to a covered porch at the main entrance. The spacious lawned rear garden overlooks the surrounding unspoilt countryside and provides the ideal space in which to relax or entertain, and has a large storage area adjacent to the cottage.